Browning has a knife to fit every purpose and the most discriminating of tastes. 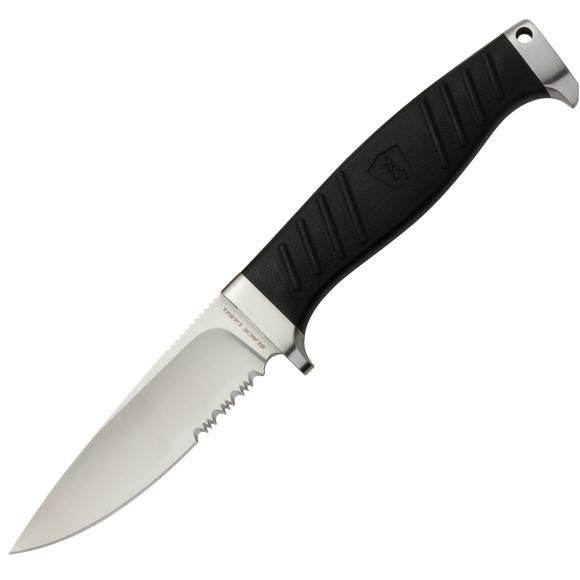 Fixed or folder, big or small, hunting/camping or general purpose, they have the knives to suit your need. This Bush Craft Ignite carbide fire starter comes with a G-10 handle, fixed drop point and striker flint. This steel has fairly easy sharpenability, good corrosion resistance and keeps a good cutting edge. A durable steel at a good value. Drop point blades have a point slightly lower than the back of the blade. Similar to the clip point, it has a stronger point. They are less suitable for piercing than the clip point.